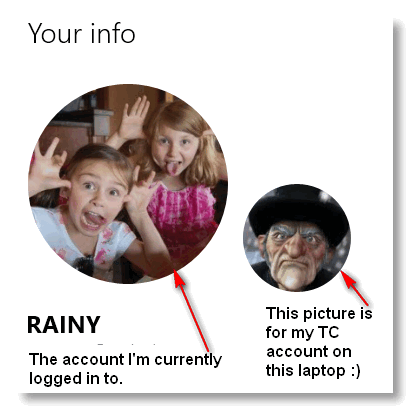 Most people use a profile picture on their Windows 10 user account, but they seldom change it once the account has been set up. If you don’t have a snappy profile picture or you’ve been using the same one for 7 years and the guy or gal in the picture doesn’t look like anyone or anything you know, we’re going to show you how easy-peasy it is to add a profile picture or change your current one. First, type “your info” in Windows 10 taskbar search and press Enter. (Or if you like doing things the long way, you can go to Settings > Accounts > Your info). You’ll see your info and your profile picture. Look at that handsome devil! OK let’s move on… no staring! Just scroll down until you see “Create your picture”. You can choose to take a snapshot of your illustrious mug with your webcam (it’s really easy) by clicking on “Camera”. Of if you’re not in photogenic mood, click on “Browse for one” and choose a picture from your computer. If you have more than one account on your computer, each person can choose his or her own profile picture. 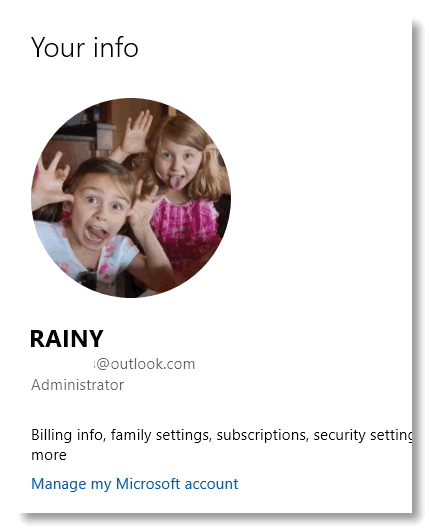 If you want to delete all your account pictures and start over, navigate to C:\Users\Your User Account\App Data\Roaming\Microsoft\Windows\Account Pictures and delete all the pictures in that folder. In order to see that folder, you’ll need to “un-hide” hidden files and folders. See this page to learn how to do that. 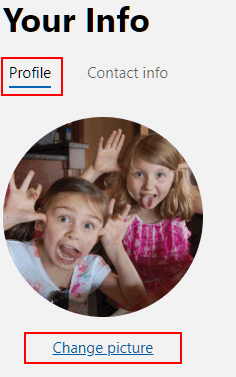 If you’re logged in with a Microsoft account, you won’t be able to delete your pictures, but you can add/change profile pictures. 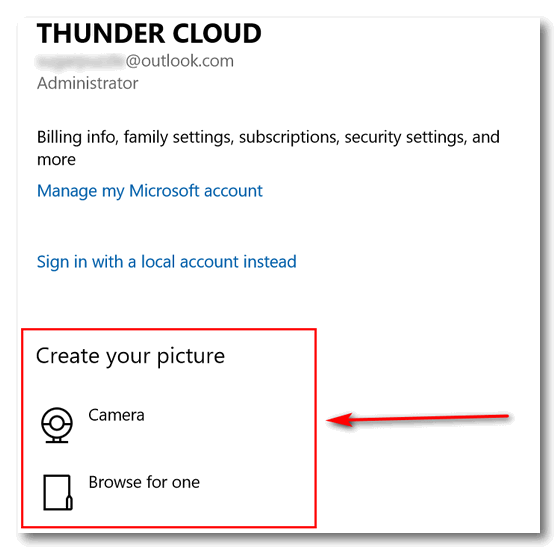 If you want to remove the current profile picture from your Microsoft account you’ll have to log into your Microsoft account. You can do that from Settings > Accounts > Your Info. 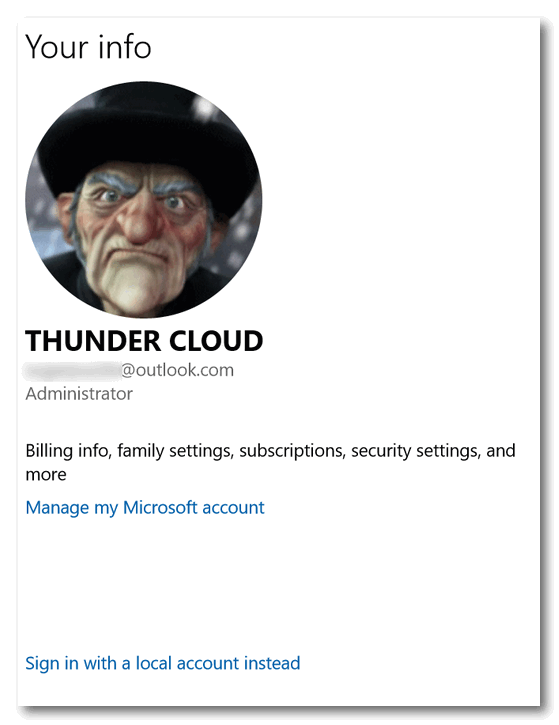 Just click on Manage my Microsoft account and sign in to your Microsoft account on the web. Once you’re signed in, click “Accounts” “Your info”. Then click on “Profile”, then click “Change picture”. Now you know almost everything there is to know about account pictures: How to take one, how to change one, how to delete them. and more. And so you no longer have any excuses for using the same old account picture for years and years. Don’t be like EB and use a pictures of yourself from 57 years ago when she was in her youthful prime. Nope you don’t want to be like that. Remember “Dear Abby”? She used the same picture for 35 years. And, come to think of it, we have real estate guy around town who does that with his picture for his “For Sale” signs. When he holds an open house, people think he’s his grandfather.